Many of the millennials who today salivate over the explosiveness of the cryptocurrency exchanges are likely blind to the manias which not too long ago preceded this one. In the mid to late 1990s, investors simply could not get enough of the emerging dot-com label, buying anything that slapped the .com to the end of its name. Akin to the subsequent housing boom, earnings (or rents) were rendered immaterial due to the anticipation of astronomical forthcoming gains. With the effective federal funds rate being brought down from over 8 percent in late 1990, when the NASDAQ traded under 400 points, to under 3 percent by late 1992, the opportunity cost relative to speculative investment had been rendered virtually negligible to the perceived gains of the stock market. Finally in 1999, the Clinton administration presided over the repeal of Glass-Steagall, the 1933 legislative measures which delineated the differences between commercial and investment banking to effectively counteract the imposed moral hazard which followed from the Federal Deposit Insurance Corporation (FDIC), which socialized responsibility over the nation's banking system. From the time Glass-Steagall was repealed, the NASDAQ would eventually double to close over 5,000 points by March of 2000. By the end of that year, the NASDAQ would prove to lose more than half of that value. Finally, thirty months after reaching its peak, the NASDAQ would realize a collapse that surrendered greater than three-quarters of that March 2000 high. What we today recall as the dot-com bubble saw scores of internet stocks go to zero and their firms declare bankruptcy. Of course, internet technology did not fall off the face of the earth, and many of those companies which existed then are still around today. However, those who invested in companies like pets.com lost trillions. In fact, the implosion in the stock market lost investors an estimated $5 trillion between 2000 and 2002. 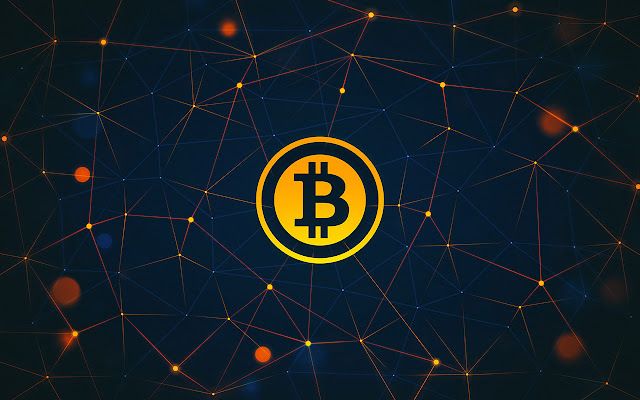 Now, today's disciples of cryptocurrency technology remain absolutely sure of themselves and their brand new blockchain applications, steadfastly claiming that bitcoin can only go up and that the opposition is simply ignorant about the ways of technology. Some claim that apprehension is misplaced, citing the burgeoning post-2002 internet space as their evidence. Of course, those ideologues seem to ignore the myriad firms which failed, the stocks which collapsed to zero, and the trillions of dollars that were wiped out en route to creating this space. Again, technology can surely remain relevant while onlookers witness the collapse of those over-valued stocks and firms which originally benefitted from the craze attending the emergence of that technology. This is not to condemn the technology, but rather to illuminate the unfounded optimism surrounding particular models operating in that space, a feature which remains pertinent in the cryptocurrency world. The question then is not whether blockchain or cryptocurrency technologies are valuable, but whether they can successfully serve as money. Next, if indeed this technology can serve as money, the investor must then determine whether bitcoin is the space's equivalent to Myspace or Facebook. The problem with XBT is its limited scalability, its high transaction costs, and its failure to serve as a pure store of value. Additionally, the novel proof-of-work concept fails to, in and of itself, mirror the qualities of mining gold, a fundamental error which its originators have long ignored across the cryptocurrency epoch as they have routinely pitched the asset as gold 2.0. A store of value must inherently possess qualities which are independently useful beyond the range of exchange. If the asset requires a third-party appraisal before it is rendered useful, then that asset fails to qualify as money. The purpose behind any form of money being qualified on this basis is historically born from the weight of counter-party risk involved in any transaction. In circumstances of barter, exchanges are more conspicuously assessed on a relatively concrete quid-pro-quo basis, whereby less abstract quantities of goods are exchanged with a predictable understanding of their utility. In cases of monetary exchange, that money replaces the usable asset in hopes that the note will bear a qualitative advantage on par with, or greater than, the original usable asset. By this standard, the trader who accepts that money has assumed risk over that asset in hoping that it will prove to yield that measured value in the future. A money which proves useful as an asset before it is exercised in exchange will then prove a far more reliable unit by which to denominate exchanges and the product of one's labor, as its value will never drop to absolute zero. Of course, the same cannot be said about the more abstract digital formations of particular risk assets, such as XBT or ETH. As it turns out, the lion's share of cryptocurrency activity mirrors that of any speculative asset, whereby the holding is commonly utilized beyond its prescribed purpose. In the case of the dot-coms, investors piled into stocks without vetting their earnings or their prices, even altogether discounting the relevance of a dividend. In the case of real estate, speculators purchased properties because they simply assumed they would appreciate, even despite lagging rents and the substandard credit quality of the inflowing borrowers who corroborated their climbing valuations. In the case of cryptocurrencies, new speculators are pumping their savings into an asset that they again assume will continue to rise in value, despite the fact that the asset is seldom employed in its intended fashion. Cryptocurrencies are simply not being bought for use as money, and even where they appear to function as money, they are merely being immediately converted into fiat currency, proving only to facilitate the offloading of that cryptocurrency to effectively increase the amount of sellers in that market. In holding these cryptocurrencies, one must account for an inherent downside risk all the way down to zero. While there exists plenty of upside in a bubble, it is nearly impossible to predict when it will pop. The primary feature of any bubble, however, is that it will pop and it will eventually realize that downside, pummeling the greedy investors who arrived late to the party, whose losses will ultimately prove to subsidize the gains of those early-arrivers. As an investor, you simply have to weigh those perceived gains against those real and eventual losses. Price Gouging: Right or Wrong?